Like the Street Triple R, but even more harder and rarer. 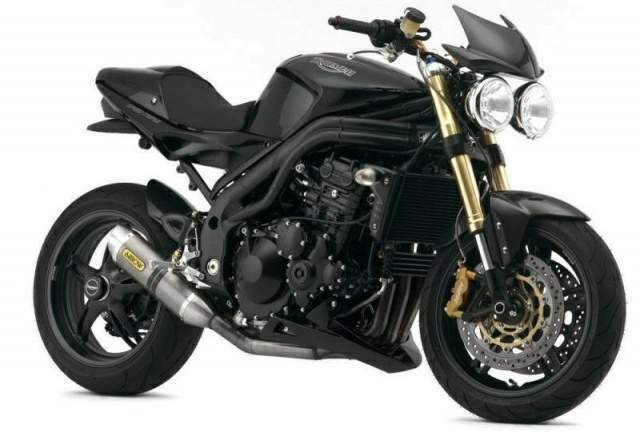 Triumph are pleased to introduce a new edition to their current range in the form of the Speed Triple Carbon Limited Edition model. 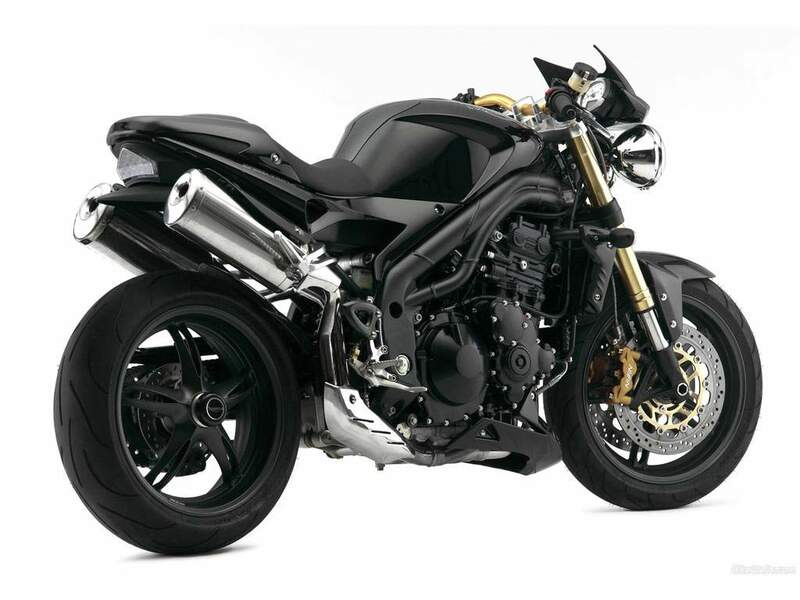 Dominating the class for over a decade the Speed Triple is the ulimate, hard as nails streetfighter. Minimalist the styling may be, but when it comes to specification maximum is a better description. At the heart is a 1050cc triple engine delivering 130 bhp, while twin Brembo 4-piston 4-pad radial calipers, fully adjustable black anodised Showa USD forks and fully adjustable Showa monoshock rear suspension completes the sports bike spec. Available only in Matt Black this limited addition features a carbon flyscreen, seat cowl, infil panels, heat shield, front mudguard and sprocket cover, plus black chunky handlebars and anodised mirrors.